IT'S THE DREAM COME TRUE! 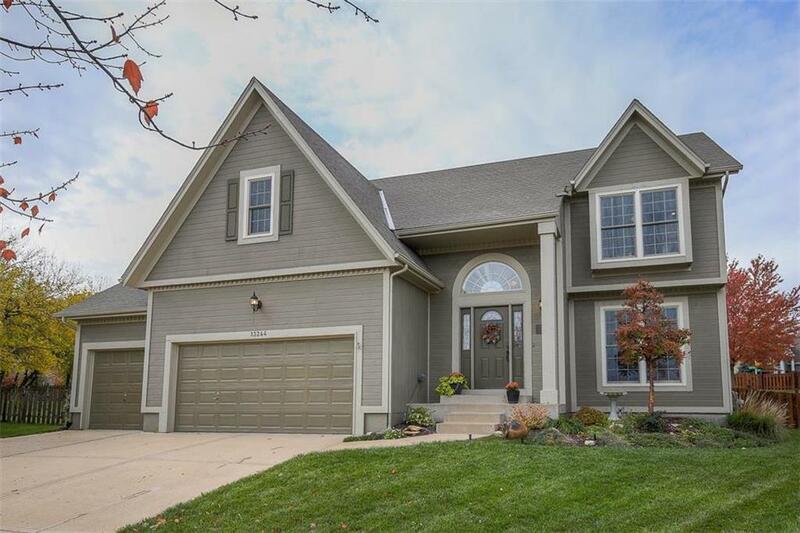 GORGEOUS 2 story w/3 car garage on a quiet cul-de-sac lot! FRESH int paint & FRESHLY refinished hardwoods! Formal dining w/wainscoting & crown moulding! Kitchen~granite island/pantry! Open kitchen/breakfast/great room walks out to deck. Perfect for entertaining! Enjoy your favorite drink & cozy up by the fireplace on chilly fall nights! Private Master w/tiled bath & walk-in closet! Finished bsmnt, perfect football or movie night! Fenced backyard! 3 Car Garage w/attic ladder~added storage! Directions: From 135th and Quivera go East, turn left on Nieman Rd, turn left on 132nd Terr, turn left on King, home is in cul-de-sac on the right.